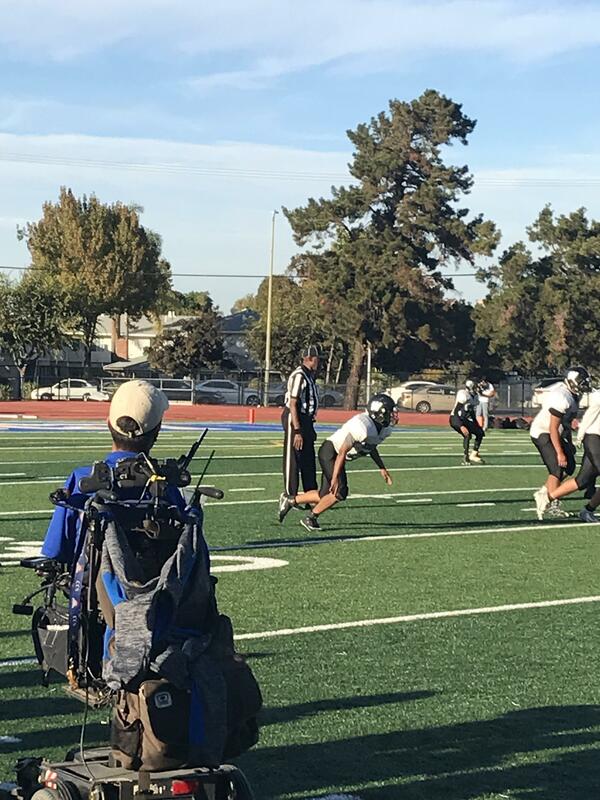 Friday, November 2 was the end of a remarkable and inspiring season for Prospect High School's Junior Varsity Football team. The team's new head coach, Rob Mendez, led them to seven straight wins, which is their first winning record in three years. 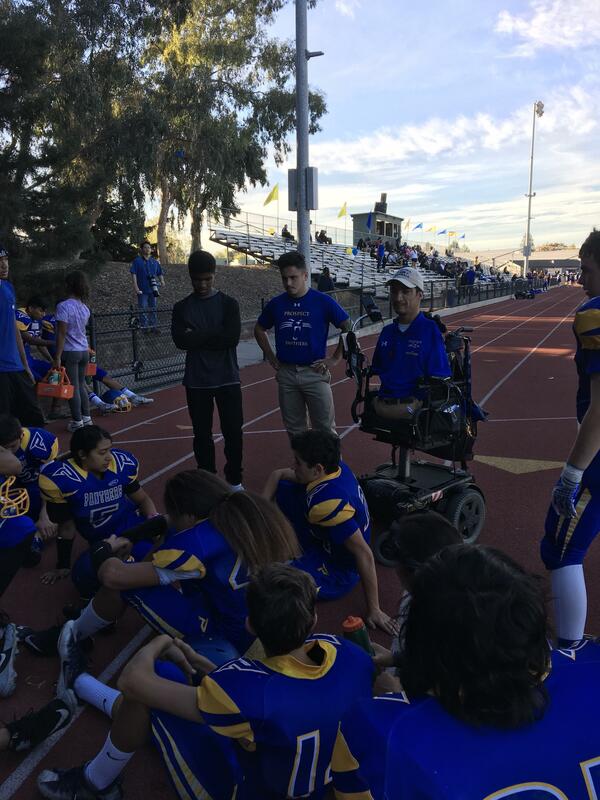 Although the winning streak is admirable on its' own, the lessons coach Mendez teaches players extends beyond the field. He manages to instruct, inspire and lead a team of high school football players without having arms or legs. He was born without limbs and has been beating the odds for more than 30 years. His motto of not giving up inspires players. 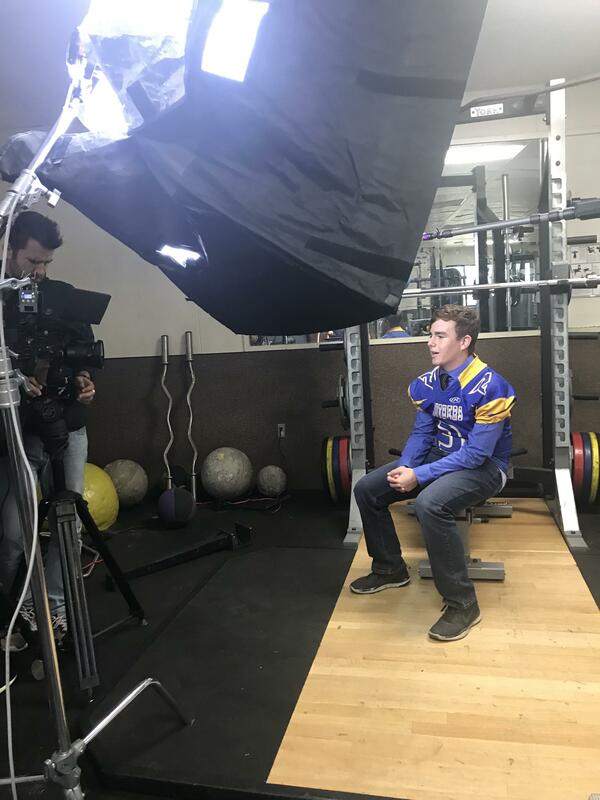 "I think coach has taught us I can do anything I put my heart into," said sophomore football player Tyler Giffin in an ESPN interview. Coach Mendez's courage and devotion to the game is the basis of an ESPN documentary expected to debut on February 16. The documentary tracks the emotional journey for Coach Mendez and the team from start to finish. Although Mendez has coached at several Santa Clara County high schools, this is his first head coaching position. "It's been a journey and I'm just trying to savor this moment, " Coach Mendez said. To view the trailer to the ESPN documentary click here.